He teaches Energy Efficiency in the bachelors, trying to pass on his passion on making processes optimal, for saving valuable resources, by understanding, modeling and assessing the principles behind these processes. A second subject in the masters program is Intelligent Electrical Power Grids, covering grid dynamics, automation technology, and integrated energy systems, both done in theory and lots of hands-on modeling and programming. 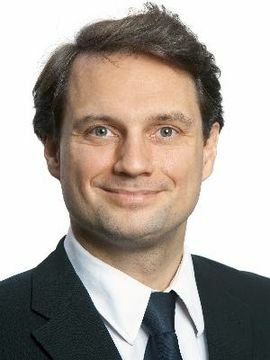 Peter Palensky is Professor for intelligent electric power grids at TU Delft, Netherlands. Before that he was Principal Scientist for Complex Energy Systems at the Austrian Institute of Technology, associate Professor at the University of Pretoria, South Africa, Department of Electrical, Electronic and Computer Engineering, University Assistant at the Vienna University of Technology, Austria, and researcher at the Lawrence Berkeley National Laboratory, California. He is active in international committees such as IEEE and is associate editor for the IEEE Transactions on Industrial Informatics. His main research field is complex and integrated energy systems. He is busy in developing methods for intelligent and integrated energy systems. One of the main activities is hybrid numerical models and how to describe and use them. Using such models, a formerly incomprehensible and complex energy system can be analyzed for efficiency, stability margins, optimality, and other expected features. With his team he works on industry and smart cities, transmission and distribution, security of supply and cyber security, hardware-in-the loop setups and number crunching for future and complex power systems.